When Sacha Collins, cafe owner and sundae-maker extraordinaire, meets Italian archaeologist, Alessandro Salvatore in Rome, she's grateful to him for being her tour guide. 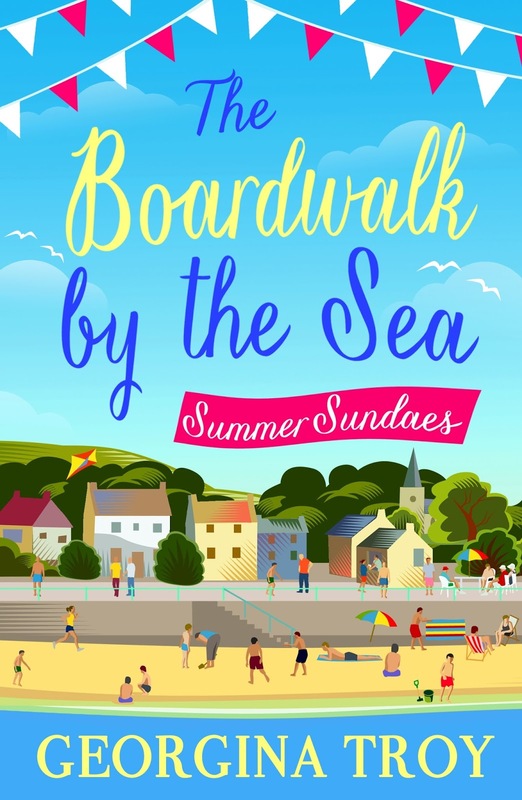 Now he’s turned up in the seaside village where she lives, known locally as, The Boardwalk by the Sea and is setting up a gelateria in direct competition to her retro Summer Sundaes Café. She's only been running her café for two years since taking over from her father. Until now the only other shops on the boardwalk have been a wool shop, an antique shop and a second-hand book shop. These have helped rather than hindered her custom. How will her creative sundaes made from fresh Jersey ice cream compete with his delicious Italian gelato? Sacha is worried. Is there enough custom for both businesses to thrive? Who is behind the strange changes being made on the boardwalk? And when the oldest resident on the boardwalk is threatened with eviction can Sacha and Alessandro come together and find a way of helping her? For a peaceful little boardwalk overlooking one of the quieter beaches on the island, there's an awful lot going on and some of it is going to lead to big changes. Summer Sundaes is a charming tale of love and drama set in Rome, Italy and by the seaside in Jersey – two settings that the author made me quite eager to visit myself, with her detailed descriptions of both beautiful settings. If you're looking for a deep and meaningful tale full of twists and turns, you won't find it here. Instead, you'll find a very light-hearted story that's easy to read just about anywhere. I found myself quite fond of Sacha and Alessandro by the end. I also really rather liked Sacha's aunt – what a fun character she is! If I had to criticise something, I'd say that I'd have liked more twists and turns, perhaps something just a tad deeper to make the story come alive just a little bit more. But all in all, it was quite a sweet tale. Georgina Troy is the pseudonym of author Deborah Carr. Her first book, A Jersey Kiss was a finalist in the Contemporary Romance Category of the Romantic Novel of the Year Awards 2016 (RoNAs) and finalist in the Joan Hessayon Award for New Writers 2015. 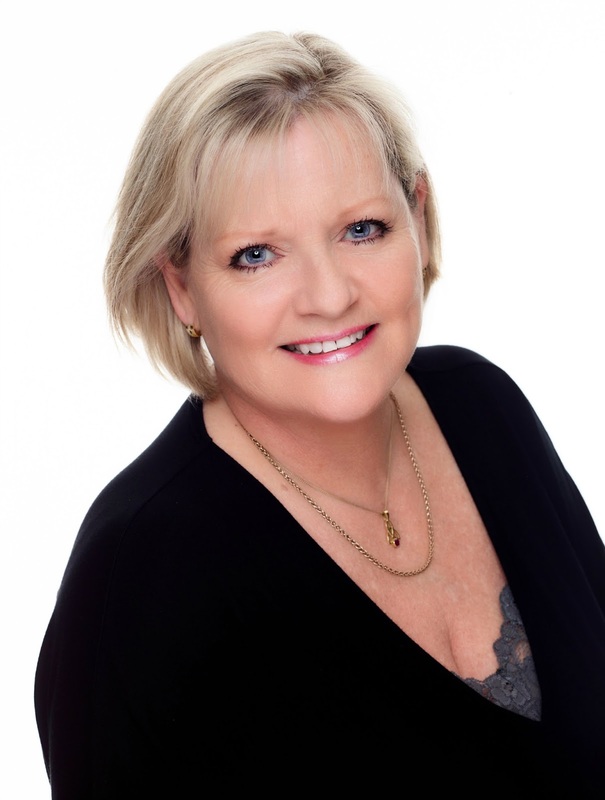 Her WW1 historical romance, Broken Faces, written in her own name, Deborah Carr, was runner-up in the Good Housekeeping Novel Writing Competition 2012. She lives on the island of Jersey with her husband, two children and three rescue dogs. 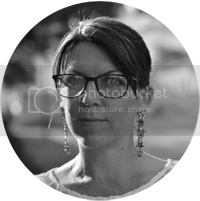 Her books are published by Accent Press and Green Shutter Books. Georgina is a member of The Blonde Plotters. Georgina’s new series, The Boardwalk by the Sea, includes four standalone novels about friends, Sacha, Bella, Lexi and Jools. Each book is set in a different season. The girls live on or near a small seaside village known locally as The Boardwalk by the Sea and all of them make an appearance in the books throughout the series but each book will focus on one of the friends.